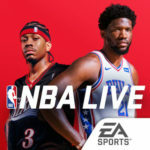 Perhaps you’d rather play a basketball game for mobile that isn’t that in-depth as MyNBA2K16, or one of those sports management games where you have to make myriad changes to your lineup to ensure the best chances of winning big. 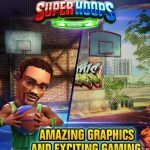 If this sounds like you and you want something more casual as far as mobile basketball games go, then you’ll want to try NBA Escape. 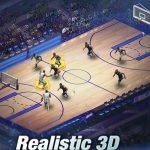 This iOS game from Urthworx, Inc., lets you to play as one of 90 different NBA players, including real-life superstars like LeBron James, Stephen Curry, Kobe Bryant, Kevin Durant, and more. But this is no card battler like MyNBA2K16, nor is it a sports management sim distilled for mobile. Your goal here is to save NBA superstars from the game’s head villain, The Dribbler, and do that by completing trick shots. Overall, this is a very fun – and funny – game to play, though as you progress forward, you’ll find those levels getting harder and harder. However, you need not worry, as our list of NBA Escape tips and tricks may help you clear more levels and accelerate your learning curve. Each level requires you to spend some energy, which is indicated above on the hearts counter. 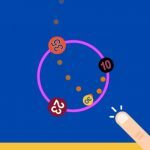 You’ll have to wait for your energy to replenish, but if you don’t like waiting and want to get your energy back for free, you can go to your phone’s settings, change the time by moving it forward about an hour, then return to your game. That should allow you to get all your energy back, pronto. Beware of the catch, though – this seems to be becoming more and more common in mobile games. When you set the time to normal, you’ll still keep your energy, but you’ll have to wait until after the time you set your iPhone or iPad to before your energy/hearts starts refilling again. Some have compared NBA Escape to a sports-themed twist on the Angry Birds mechanic. That means there’s a lot of physics involved here, as you throw your basketball in hopes of collecting all the Urthbling on the level. Always take a long, hard look at each level and think of an innovative way to get stuff out of the way and allow your ball to catch all that precious Urthbling. In order to unlock the next area of the game, which you can do every 25 levels, you’ll need to have a certain number of cumulative stars for the levels you’ve completed in between areas. Now you need not fret if you aren’t allowed to continue due to a lack of stars; you can always replay previous levels and remember the mistakes you made before so that they don’t happen again, and so you get a perfect three stars instead of one. Scoring more points can be done by finishing a level as fast as you could. That means not taking too long to aim your shot (at the risk of losing points), and throwing/shooting the ball in such a way that the ball bounces right back to you.